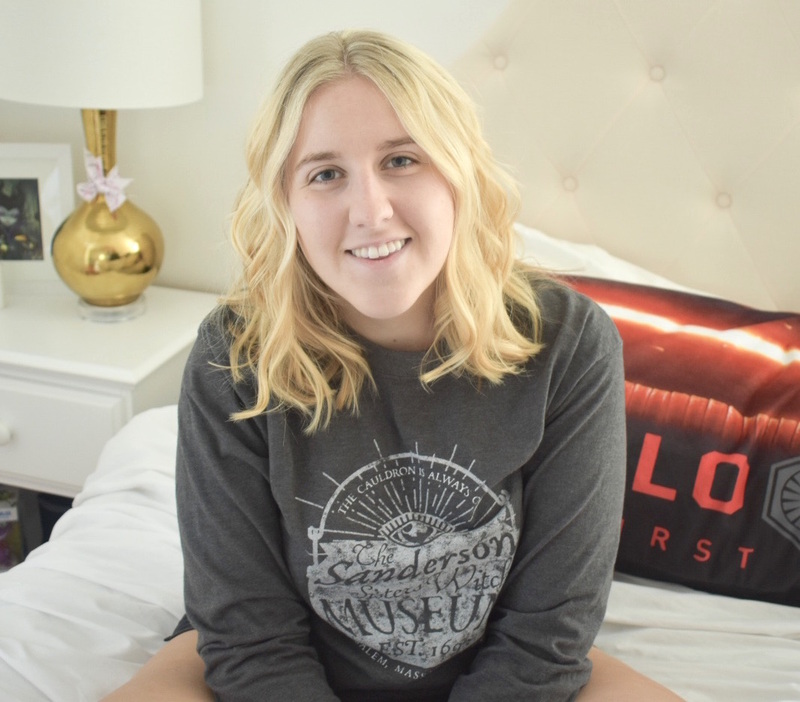 While we watched Olaf's Frozen Adventure (for our second time!) 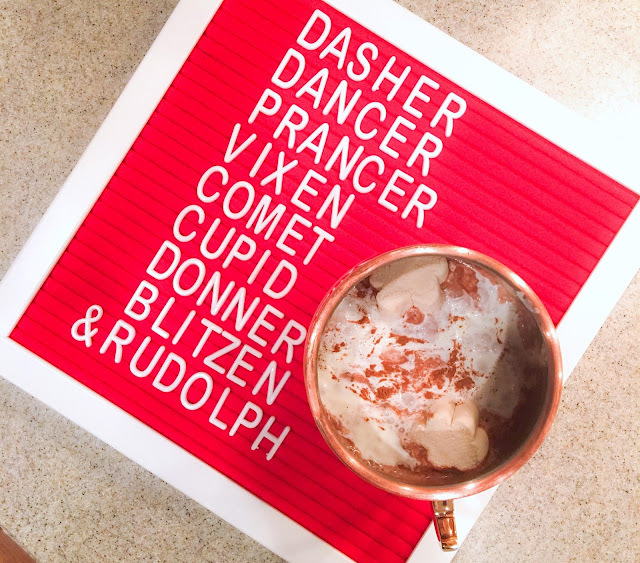 last night, I made a frozen hot chocolate to celebrate the event. Did you watch it?! I think it's so cute and I've always loved the Frozen characters so, of course, I loved it. The songs are pretty catchy, too - almost on Let It Go level. 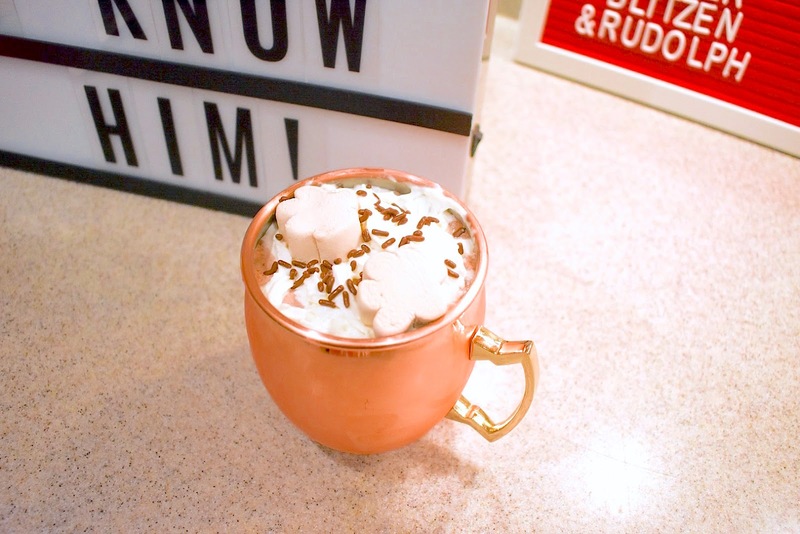 If you want to enjoy your own frozen hot chocolate this season, check out the recipe below! These measurements are for a full size blender and the recipe will make 3 full regular sized mugs. Combine the chocolate chips with 1/4 cup of milk and heat in microwave for 30 seconds then stir. Continue to heat for 30 seconds and stir until smooth. Add hot chocolate mix and sugar, stir. Slowly pour 1/2 cup of milk into the mix, stirring as you pour. Add six cups of ice into your blender. Once the mixture has cooled, which it will as the cold milk is added, pour into the blender with the ice. Finally, add the remaining milk (2 and 1/4 cups) into the blender. It will be full to the top! Blend until smooth and then pour into your mugs. 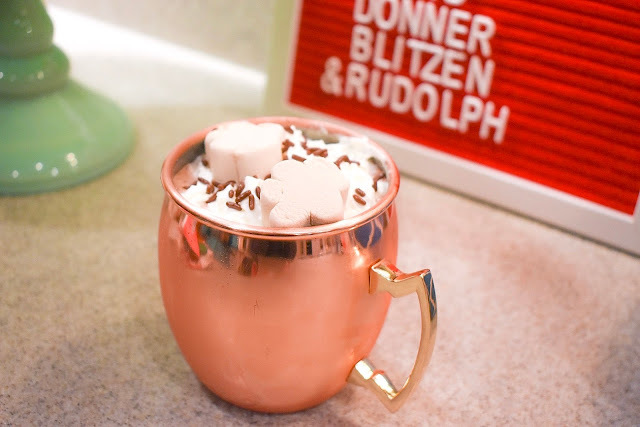 I thought the Moscow Mule mugs looked super cute with the frozen hot chocolate! 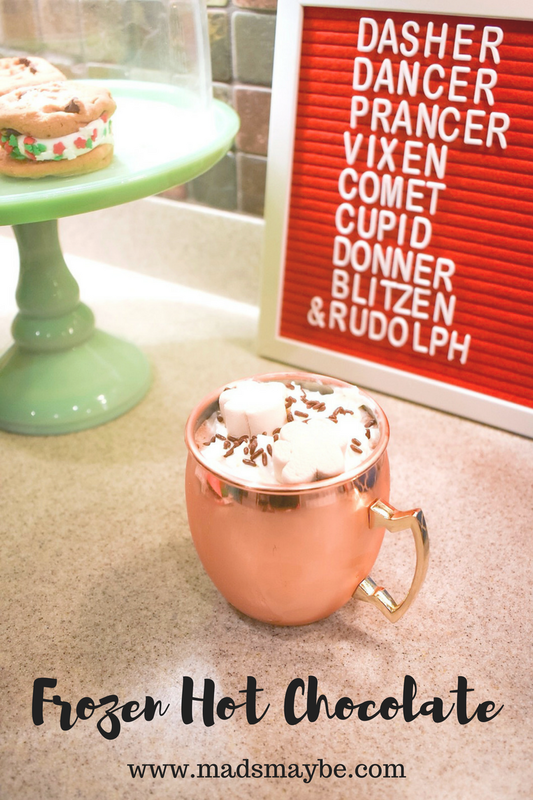 Top with whipped cream, chocolate sprinkles, marshmallows, and all the other sweet treats your heart desires! I got these gingerbread men marshmallows at Lidl - they're gingerbread flavored! - and they were perfect toppings, too. 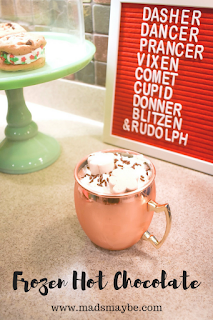 The frozen hot chocolate definitely had a strong chocolate flavor so, when you're choosing your chocolate chips, pick your favorite because they'll be the main ingredient. I used semi-sweet, but I wondered how it would taste with pieces of a Hershey bar! If you make frozen hot chocolate, be sure to send pictures by tweeting me, tagging me on Instagram, or posting to my Facebook page! I can't wait to see your toppings of choice! 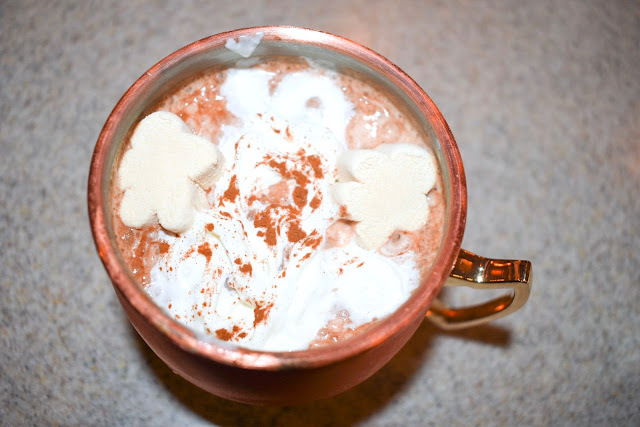 What's your favorite version of hot chocolate?